Angela Koeppen was born near Leipzig, attended the Special School of Music in Halle on the Saale and then completed her violin studies with Einhart Nietner at the “Felix Mendelssohn Bartholdy” Music Academy in Leipzig. While still a student, she devoted a great deal of attention to chamber music and, along with her string quartet, she studied with Giorgio Kröhner, Gerhard Bosse and Karl Suske. Her first engagement took her to the East Berlin Radio Orchestra. Beyond that, she was a member of the Akademie für alte Musik. 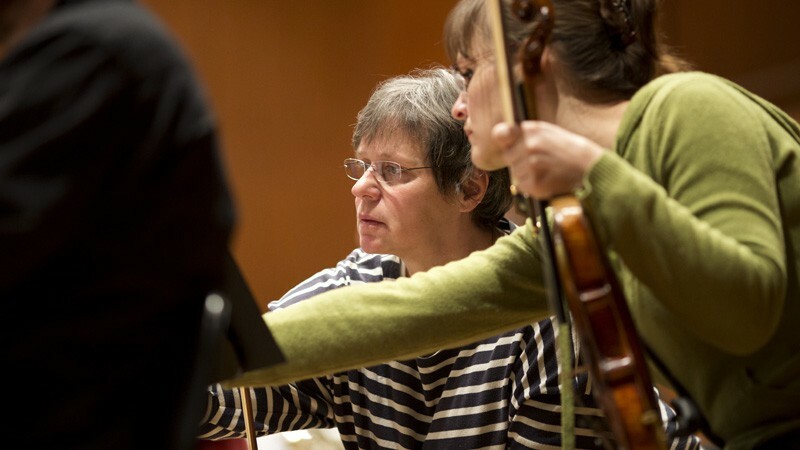 In 1983 Angela Koeppen resettled in the west, where she was initially engaged by the Munich Philharmonic. In 1987 she switched to the Symphonieorchester des Bayerischen Rundfunks.